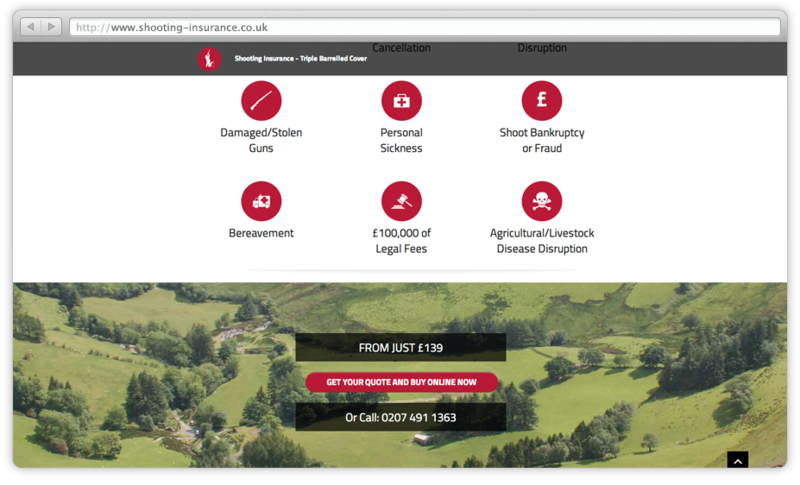 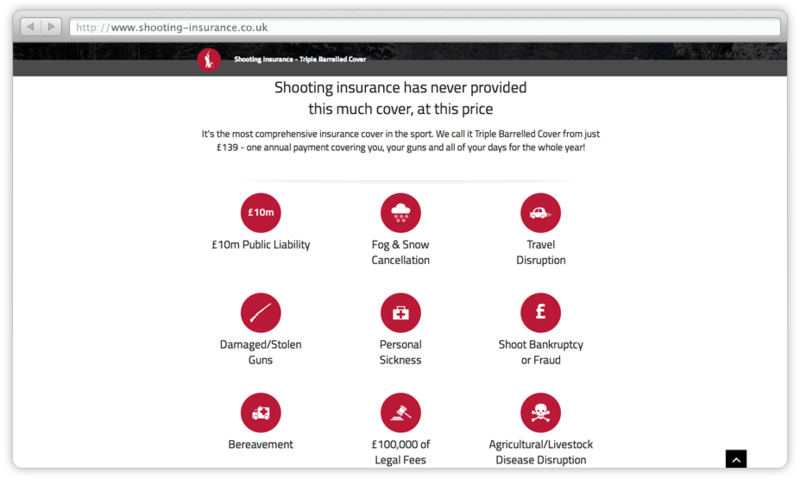 shooting-insurance.co.uk is a single page website devoted to providing insurance for country shooting. 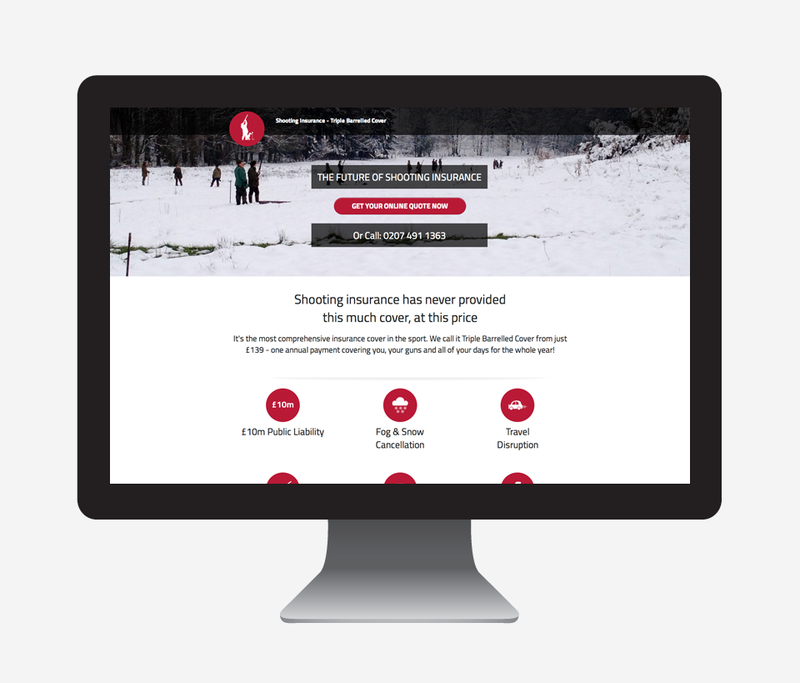 As part of GunsOnPegs the website drives traffic to GunsOnPegs Triple barrelled insurance cover. 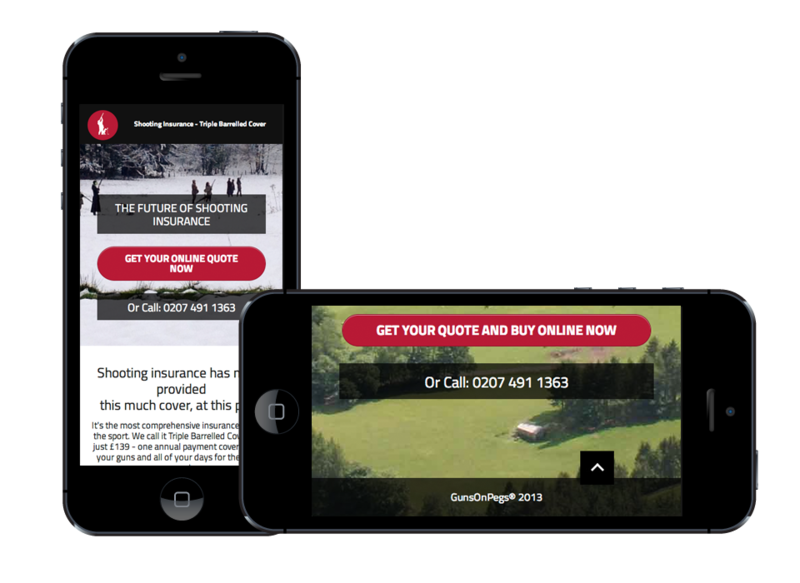 The website was designed and developed by me at the DayOneDigital studio in a very short timescale.